The Journey this year sees the same sort of deal with Alex Hunter, with family life, agents and a man changing clubs like it's his favourite hobby. I'm not one to ruin things with a story in a game, but let's just say Alex has a lot to deal with this season, both on and off the pitch. The mode also threw a few surprises my way, ones I'm not going to spoil for you either, but they were ones I enjoyed getting to take part in when playing the mode. Same rules apply with the mode from last year though, with matches and training pieced together with short video clips and choices for you to make Telltale Games style telling you the story of Alex and co. This year you're able to unlock new gear for him both on and off the pitch as well, with tattoos and hairstyles to slap on him if that is your kind of thing. If giving Alex a Mum tattoo on his neck is something you were dying to do last year, well that's possible this year. Along the way you also unlock stuff for Ultimate Team, with loan players such as Rio Ferdinand being just one legend you will unlock to use in FT on a loan contract when playing through this mode. This all said I did feel by the end that it was dragged out a little too much, with the game seeming to play out way too long when reaching the final of the six chapters the mode takes place in. Another big mode to talk about is of course Ultimate Team, with this mode and Pro clubs being the main modes that will keep me coming back to this game for the rest of the year. While both modes are pretty much the same as last year, both also see a few new things in them now over last year. Take for instance Ultimate Team, with modes like FUT champions, Draft and Squad Building Challenges to name a few modes returning, but things like daily objectives and more importantly Squad Battles now joining the mix. Squad Battles are great for that guy/girl who wants to enjoy UT but not having to worry about ever taking the game into the murky waters of online play. All you do is play teams in offline mode, earning yourself points by the end of the week when the game will gift you prizes on where you have reached in the rankings. Play enough and you can get yourself enough coin to buy a lot of packs or that star striker you've always seemed to struggle to afford back in previous versions of UT. Sure you need to put time and effort in, but even a few games a day could still net you some cash at the end of the week, not forgetting the coins you earn for each match anyway. Easily one of the best new features in the game this year. Clubs being another mode I play on a daily basis feels pretty much the same if I'm being honest, with the only difference being the presentation and now having the option to have three play styles on hand in the lobby to choose from before playing. We all have that guy who comes along and steals the position you use at some point in time, so now being able to have the option in the game lobby to simple switch over to another one you've set up, just saves time of having to back out and having to mess about with your pro in the main menu all the time. Playing the game once again earns you skill points which improves your player, with everything else pretty much being what we saw in 17. Offline players can also enjoy both manager and player careers, with these once again just having a new look about them rather than new things to look forward to. In terms of the manager, we do have a new way to play out transfers, with you rather than bidding going through the whole process in your office with the other manager or agent. This is fun the first few times, but it does get old rather fast. Nice extra touch, but not something I can see myself using all the time if I'm honest. That and just having moments of speaking with a twin just made it something that only plays out better when dealing with the big leagues, with Premiership managers sitting opposite you. Other than that everything has that familiar feel, with modes such as seasons/co-op seasons, online friendlies, and tournaments being the only remaining modes available to you. On the pitch, the game is just as polished and playable as you would expect from a game of FIFA, with this being the part of the game that for me always makes it stand out above PES. FIFA just seems to go that extra mile when it comes to presentation and the players, but I think it stands out more for me being an Aston Villa fan. I don't enjoy being West Midlands Village with a terrible kit and badge, and although in this game Steve Bruce looks like a 90-year-old man and certain players have had zero effort put into them, just having Villa Park and the official badge, kits and all the glamour tends to make you forget that Kodjia looks like a young Emile Heskey rather than himself. When it comes to the higher up leagues though this is less of a big deal of course, as I'm sure you've seen the likes of Messi and Ronaldo in the trailers. 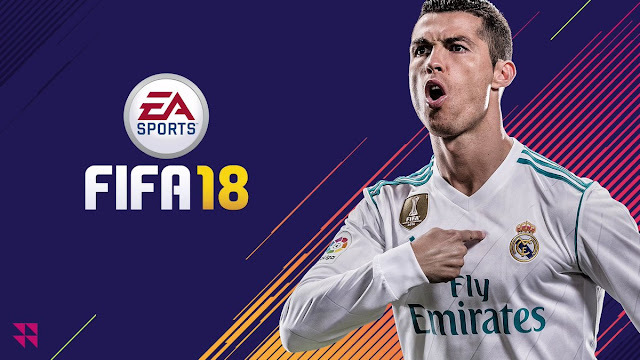 Overall: As a FIFA guy it's hard to say that I dislike anything the game gives me, as every year I sit there when the new game comes out to see I've wasted thirteen days of my life on the previous game. FIFA 18 will, of course, do the same as I'm already up to two days game time on it now (life and other games being the only reason this isn't higher). Squad battles are the best new thing added into the game, which will see players lose hours trying to get that high rank with coins and packs for doing so. Journey dragging itself out by the end chapter.